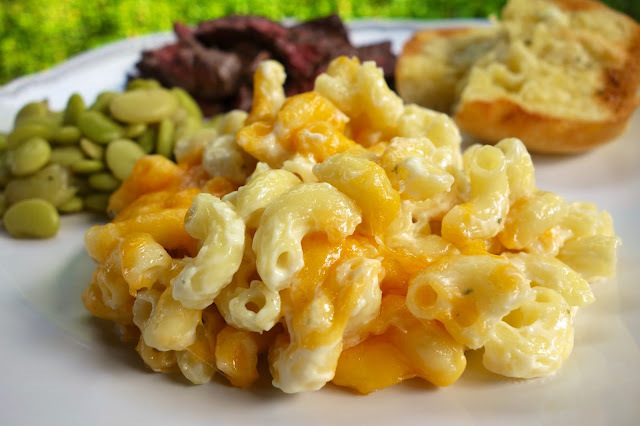 OMG Mac and Cheese Recipe made with Boursin Cheese...nice and light (NOT!) Tastes amazing! Macaroni, boursin cheese, heavy cream, cream cheese and cheddar. 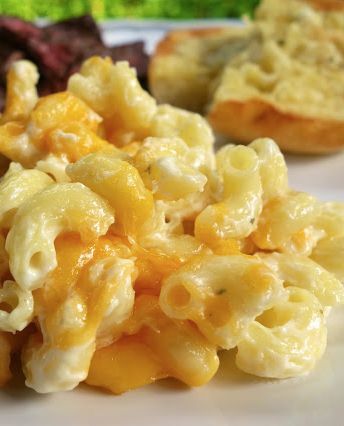 One bite and you'll know why it's called OMG Mac and Cheese! 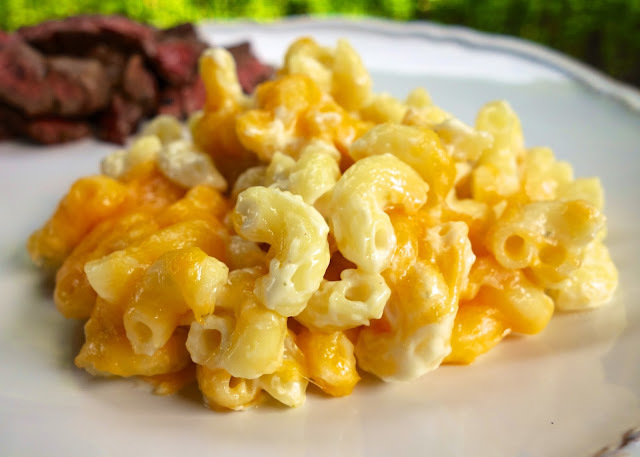 I served this Mac and Cheese with the skirt steak from yesterday's post. The recipe came from a restaurant that we loved in Birmingham, Prairie Fire Grill. It went out of business a long time ago, without warning. I was so glad that they had a newsletter where they shared some of their recipes. I needed to keep this Mac and Cheese in my life! This is very simple and packs a ton of great flavor. It is super rich and creamy. The secret ingredient in this mac and cheese is Boursin cheese. It really takes this from good to OMG delicious! This takes less than 20 minutes from start to finish and even less time to devour it! In a large saucepan, heat cream, Boursin and cream cheese until melted over medium-low heat. Stir in salt and pepper to taste. Mix in cooked pasta, coating well. Pour mixture into prepared 9x13-inch pan. Top with cheddar jack cheese. Bake at 10-15 minutes, until cheese is melted and bubbly. I can just imagine how delicious it is - Boursin is a great addition. This is outta control, heart attack on a platter, but it sounds sooooo good! Love the addition of the Boursin. 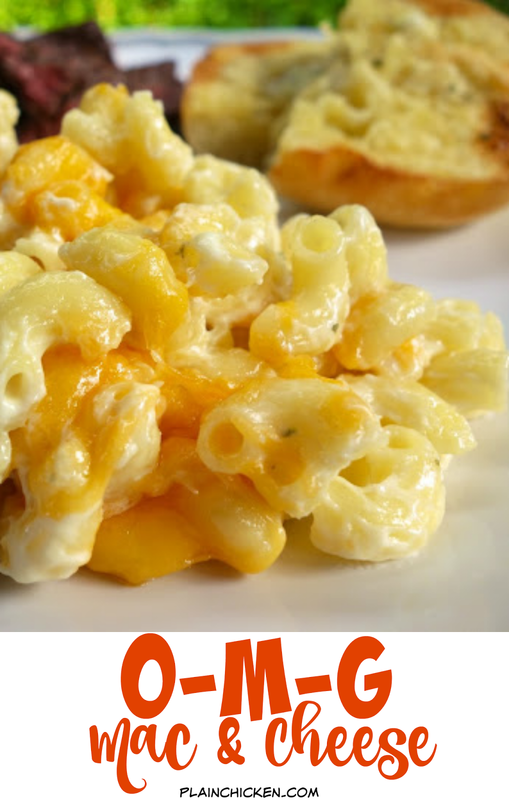 I'm always up for trying new mac n cheese recipes! Believe it or not, I am a cheese lover but I have never heard of this cheese! Is it usually found at most grocery stores? This cheese comes in different flavors. What did you use ? Wow...I usually disregard comments about too much 'fat' on all fat laden goodies, but this has even me wondering the wisdom ! I also wonder if there's a specific flavor of the Boursin cheese? Sounds amazing!!! Sherry - I find the Boursin cheese in the deli cheese section - not behind the counter - in the "fancy" cheese case. Oh boy! Oh boy! Oh Boy!! My taste buds are crying out in excitement! Oh my heavens this looks awesome. What is Boursin cream cheese? I've never heard of this ingredient. If any of you have a Trader Joe's near you, they sell Boursin for about half the price of the regular grocery stores. Costco also sells three-packs of Boursin; two garlic herb and one shallot something (which is DEE-LISH). Darby - Boursin is a French herb cream cheese. I used the garlic herb flavor. It is found in the deli cheese section - in the gourmet cheese case. OMG!!! This really is OMG Mac and Cheese! I just took a little taste test of the finished product, DELISHUS!!! With all of that Boursin in it, it has to be great! Well, I just made this for a special lunch,topped it with buttered cornflake crumbs, a sprig of chive from garden, and served with a platter of fresh sliced cukes and tomatoes, and it was a hit ! I will put this in my "keeper" or "make again" file. Thanks. I posted pictures over at my blog if you wanted to check them out. Take care! Made this today but it was a little too much cream cheese for me. Has a great flavor though & will definitely use this again & tweak it to my liking. Stephanie- do you think it would taste ok if some breadcrumbs/panko/crushed ritz were added on top? Stephanie- do you think this would taste ok if you added breadcrumbs/panko/ritz to to top? I've made this several times and it is super yummy. Do you think it can be prepared in advance and cooked later? Dana - I don't see why it couldn't be made in advance and baked later. It might need a few more minutes in the oven since it won't be as warm starting out. Second, if the final product is too gooey for you, I've reheated it like this: place the mac&cheese upside-down in a bowl, top with sprinkle of the shredded cheese and crushed Cheez-its, microwave, mix together, add more crushed Cheez-its, then eat! The process adds a nice crunch and super cheesy taste.